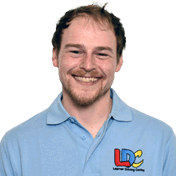 Hi I'm Jon, I am a fully qualified Government Approved Driving Instructor (ADI) and I am passionate about road safety. Thank you for taking the time to view my website. I became a driving instructor because I wanted a job with real satisfaction and there is nothing better than seeing someone pass their test first time. It's also immensely satisfying to see someone develop skills and a belief in themselves that they may not have possessed before the tuition began. I was also always being told by friends and work colleagues that I was a calm and relaxed type of person and that I would make a great Driving Instructor. I was fortunate to be trained by LDC in the latest adult coaching and training techniques so you can be assured the training I give will be of the highest standard. When I was younger and learning to drive it was using the LD system so I also have personal experience from the learner's side of how well the system works based on your needs. As for a little bit about myself, I have lived in and around Solihull my entire life so know the area very well and have spent the last few years working employed with Solihull's Local Authority. I'm very passionate about music and spend a lot of my free time playing guitar. Also enjoy cooking nearly as much as I enjoy eating and always appreciate nice long walks through beautiful scenery. I feel that driving should be a pleasurable experience and because of this lessons are always conducted in a calm, friendly and relaxed manner as I firmly believe in making pupils feel at ease during lessons and enjoying the journey to the freedom that driving can allow.